a picture says more than 1,000 words, doesn't it? addendum march 16th, 2014: in a referendum on crimea today, over 80% of the population joined the election and over 93% of them voted for the accession of crimea to russian federation. that's democracy, isn't it? Народ скандирует "Россия", когда идет речь о референдуме о самоопределении Донбасса. Делайте репост, распространяйте информацию! Мы победим! more coming soon or never ... and yes, your feedback is highly wished-for, my dears. just use the comments below the blog post. anyway, i still can't understand why do we western nations who have EVERYTHING cause so much suffering to nations who have so LITTLE? The House voted overwhelmingly last week to provide $1 billion in loan guarantees to Ukraine. That is just the beginning, you can be sure. But let’s be clear: this is not money for the population of that impoverished country. The Administration is sending a billion dollars from US taxpayers to wealthy international bankers who hold Ukrainian debt. 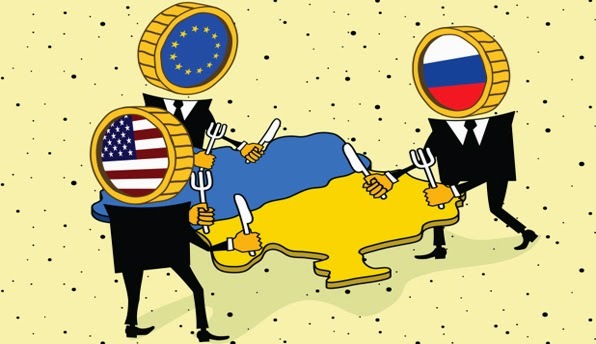 It is an international bank bailout, not aid to Ukrainians. And despite the escalating anti-Russia rhetoric, ironically some of that money will likely go to Russia for Ukraine’s two billion dollar unpaid gas bill! 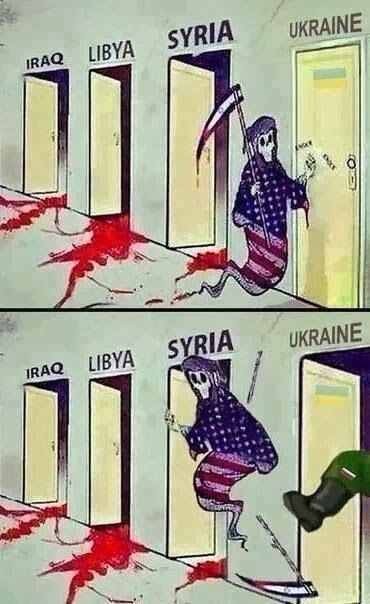 So what happened in Ukraine? 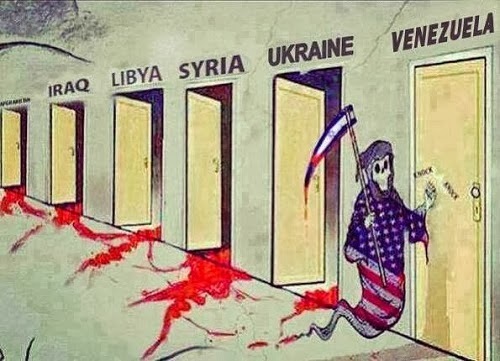 The US government and media claims that the US must save Ukrainian democracy from an invading Russian army that is threatening the country’s sovereignty. 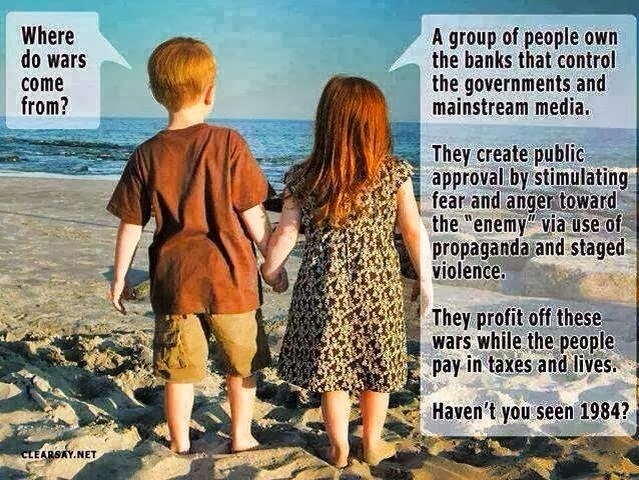 But in reality the crisis was instigated in part by US meddling. Remember the intercepted telephone call in which two senior Obama Administration officials discussed plans to replace the elected government in Ukraine with US puppets? That is exactly what happened. Is that not a violation of Ukraine’s sovereignty? Is that what democracy is all about? The Obama Administration’s policy toward Ukraine is hypocritical. The overthrow of the government in Kiev by violent street protests was called a triumph of democracy, but when the elected parliament in autonomous Crimea voted last week to hold a referendum to decide its future, President Obama condemned it as a violation of international law. What about the principle of self-determination, which is also enshrined in international law? I have long thought that a referendum to reorganize Ukraine into a looser confederation of regions might help reduce tensions. I still believe this could help, but it seems the US government is not so enthusiastic about democracy when there is a chance for an outcome it opposes. I strongly believe that Crimeans have every right to transfer sovereignty over their peninsula to Russia if they wish. The only question that remains is whether there will there be an honest election, and I don’t see any reason there can’t be. 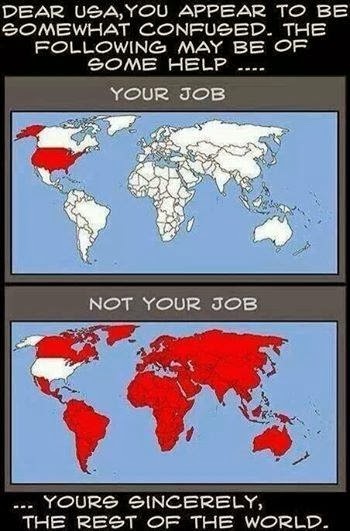 The US government tells the rest of the world, “We want you to be good democrats and have elections,” but if they don’t elect the right people then we complain about it and throw them out, like we did in Egypt. In Crimea they want to have an election to determine their future. President Obama condemned those plans for a vote by saying, “We are well beyond the days when borders can be redrawn over the heads of democratic leaders.” Does he not remember that the authorities in Kiev were installed just weeks ago after a US-backed coup against the Ukrainian constitution? Congress next week will likely vote for sanctions against Russia. Though many mistakenly believe that sanctions are a relatively harmless way of forcing foreign countries to do what we say, we should be clear: sanctions are an act of war. Cooler heads in the United States are not currently prevailing. 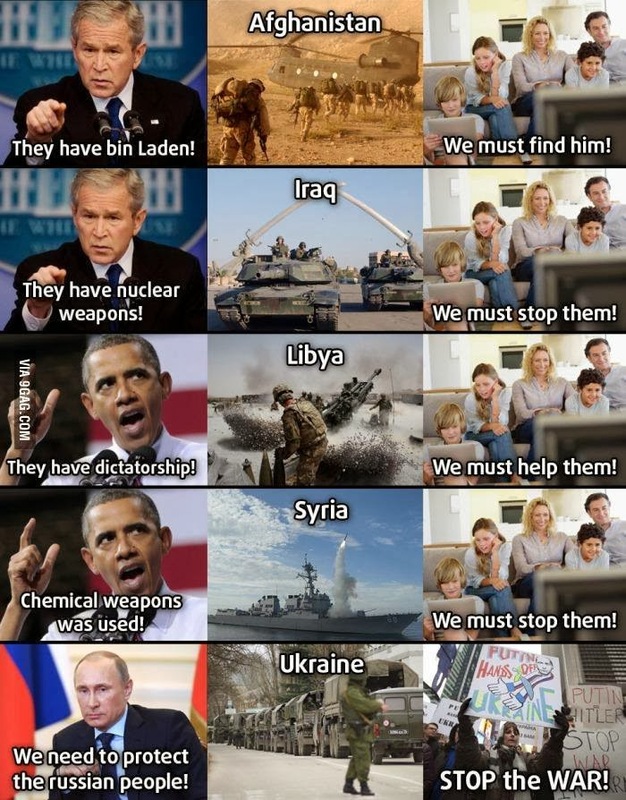 There is a danger of an unimaginable conflict between the US and Russia. 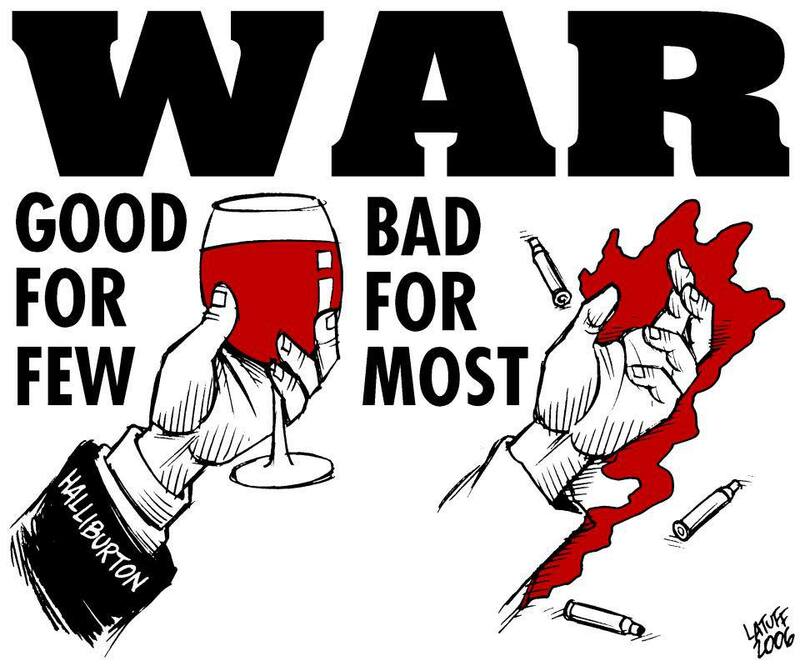 We must demand a shift away from a war footing, away from incendiary rhetoric. 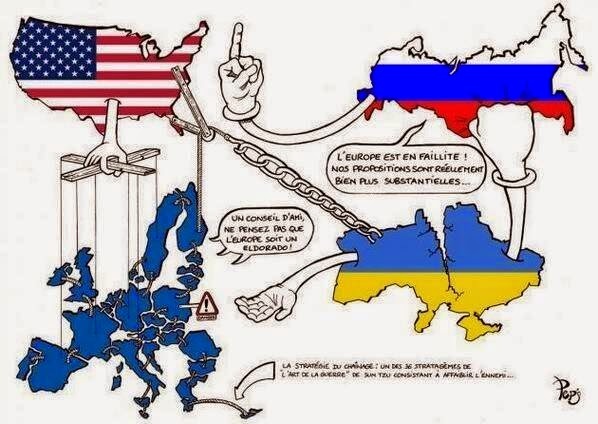 We are broke and cannot afford to “buy” Ukraine. 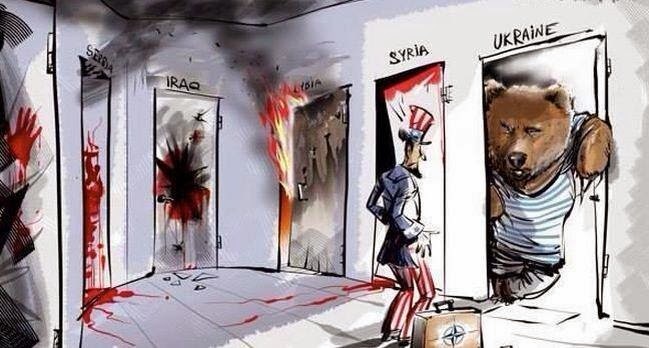 We certainly cannot afford another war, especially with Russia! addendum 13.03.2014, gregor gysi in german parliament ... about the western supported fascists in kiev and about the biased western approach to yugoslavia, kosovo, iraq, afghanistan, libya, syria .. and ukraine, creimea, russia ... so sad :-( ... why do we western nations, who have everything, bring so much suffering to nations who have almost nothing? is there no emphaty at all in us? МАЙДАН СТОИТ не за НАТО, США или ЕВРОПУ. МЫ ЗДЕСЬ НЕ за БАНДЕРУ, ШУХЕВИЧА, ТИМОШЕНКО, КЛИЧКО или ЯЦЕНЮКА.............НАМ ПРОСТО НАДОЕЛО ЖИТЬ В ( ГОВНЕ))) Нам надоело, что у пенсионеров нет денег на валидол, а чиновники ездят на новых мерседесах. Нам надоело, что продажные менты насилуют и калечат женщин, как это было во Врадиевке. НАМ надоело, что дети чиновников безнаказанно сбивают людей на пешеходных переходах. НАМ надоело постоянно давать взятки ментам, врачам, пожарникам, налоговой, ЖЕКам, вузам, судам. НАМ надоело, что на наши налоги власть имущие покупают себе дачи и яхты, вместо того, чтобы строить в стране дороги, школы, больницы..........ИМЕННО ПОЭТОМУ МЫ ВЫШЛИ НА МАЙДАН!!!! Мы стоим здесь, чтобы на пенсию можно было жить достойно. МЫ стоим здесь, чтобы в больницах было достаточно лекарств. Мы стоим здесь, чтобы чиновники не воровали, а работали для людей. Мы стоим за справедливое государство, за порядок, за стабильность и экономическое развитие, за уважение к каждому человеку. МЫ хотим, чтобы все были равны перед законом. МЫ ВСЕ ХОТИМ ОДНОГО И ТОГО ЖЕ. МЫ ТРЕБУЕМ ЭТОГО У ВЛАСТИ. .... МЫ ОДИН НАРОД!!! !